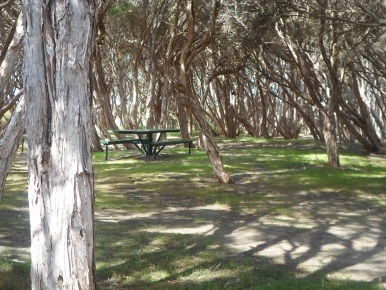 A great place for a picnic, Antechamber Bay offers two completely different experiences, depending on which side of Chapman River you go to. The east side is good for fishing or lunch, while the west side offers access to the beach and has campgrounds. 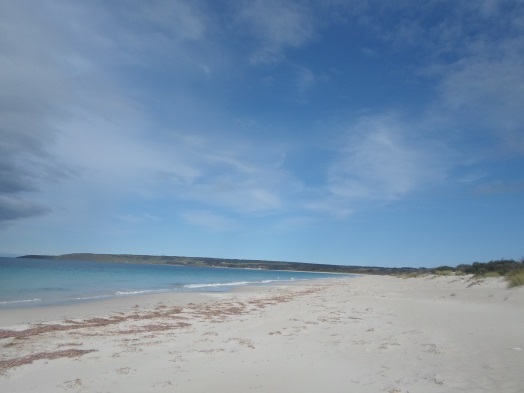 It was the east side that I visited twice on my trip to Kangaroo Island, both times while I was looking for a place to fish. I found it to be full of trees, which means there's great shade for the tables around. A large shelter accommodates bigger parties and there's even a fire pit. Fishing in the river was fun, and we caught a lot, but they were all to small to keep. Later we learned that the adult fish let the young ones eat first so you need to throw some food out for them to fill themselves up on, then try for the larger ones. Other visitors might like to try kayaking, as there are easy places to launch. 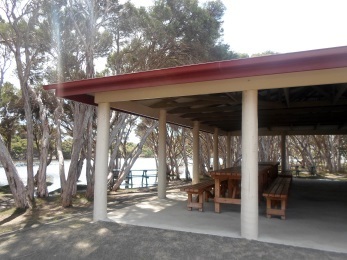 On the other side of the river, there are less facilities for picnics (like tables), but the area does have toilets and a campground, so it's suitable for a much longer stay. There's also access to the beach of Antechamber Bay. 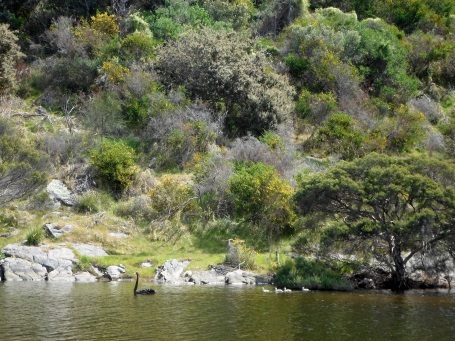 The river and the bay, which are part of Lashmar Conservation Park, are both south of Penneshaw, along the road to Cape Willoughby, where you'll find the Cape Willoughby Lighthouse. 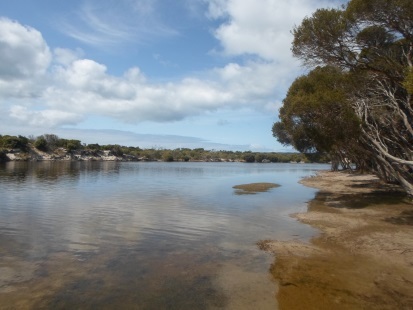 On this easternmost tip of the island there's not a lot of other attractions, to see but on the way into the eastern side of the river you will find Chapman River Cellar Door.